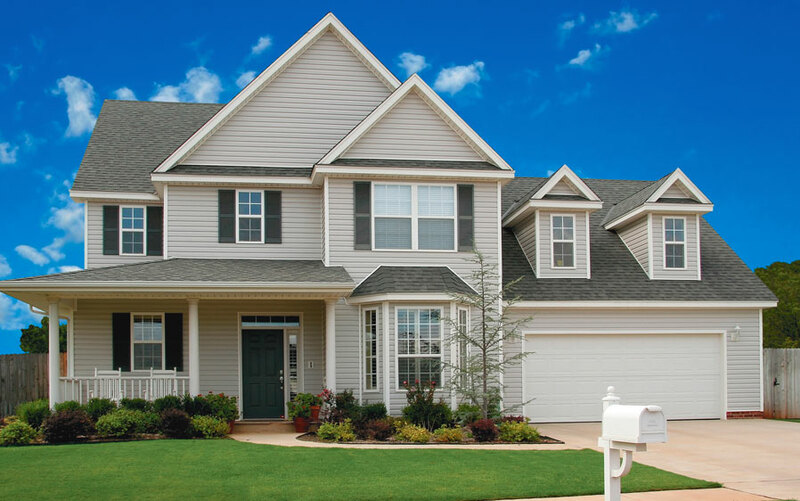 Has your home been invaded by uninvited guests? 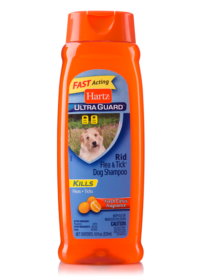 Take matters into your own hands with the Hartz UltraGuard Plus Home Spray. 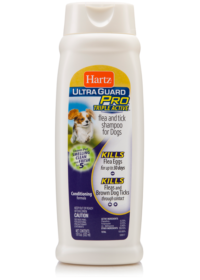 Kills fleas, ticks, flea eggs, flea larvae and pupae. 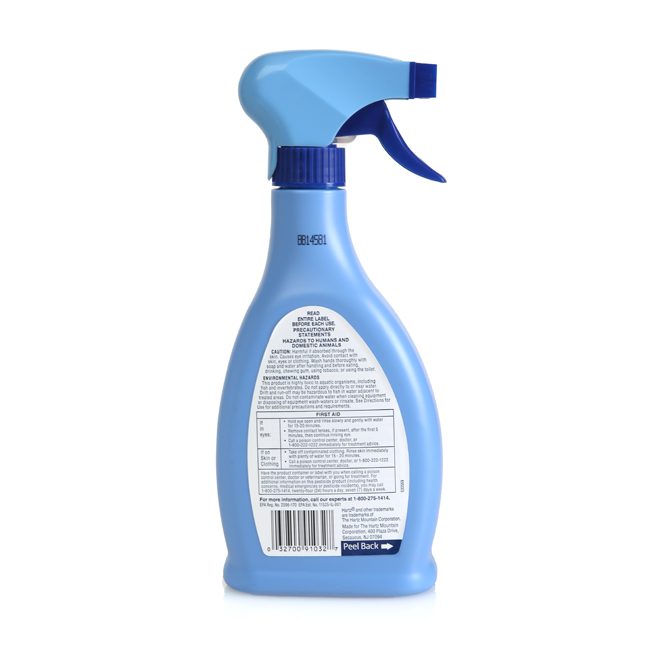 This product also prevents re-infestation. Do not spray on pets or humans. Read all directions and cautions on package before using. 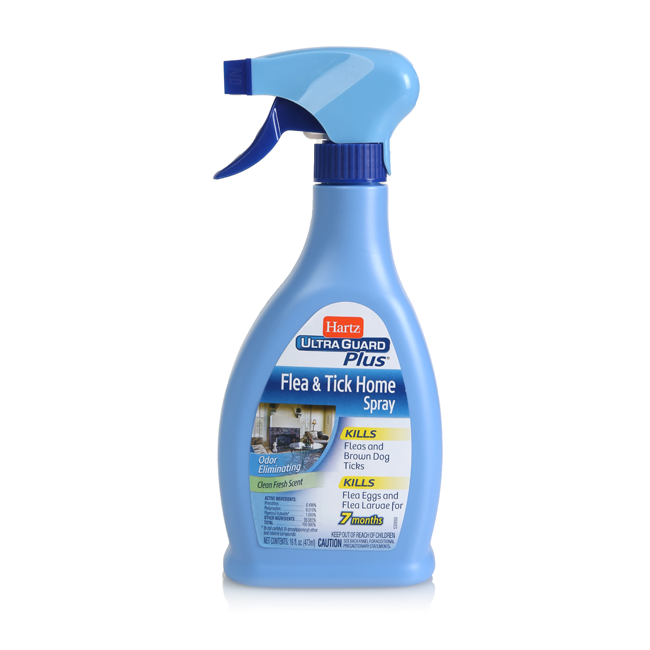 If fleas are on your dog, you can be sure that they are also in your home. 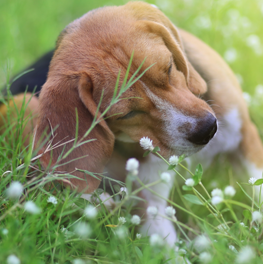 There are three ways you can take action for flea control and prevention: immediate treatment, infestation control and infestation prevention. 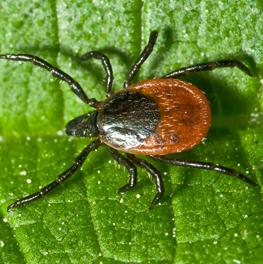 While we could traditionally count on the late spring and summer months as being “flea and tick season,” the effects of global warming are extending the season dramatically. 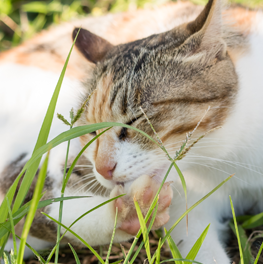 If fleas are on your cat, you can be sure that they are also in your home. 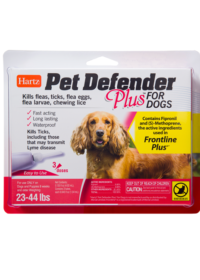 There are three ways you can take fast action for flea control and prevention: immediate treatment, infestation control and infestation prevention.